I like this post very much. It is fun to see "behind the scenes" in an artist's work. Good reminder to me. Thanks again! Can she runaway to my home? LOL! I love the pics from your workroom. It´s so much fun to see your work in progress as well as the finished girls parading around. They are absolutely amazing. 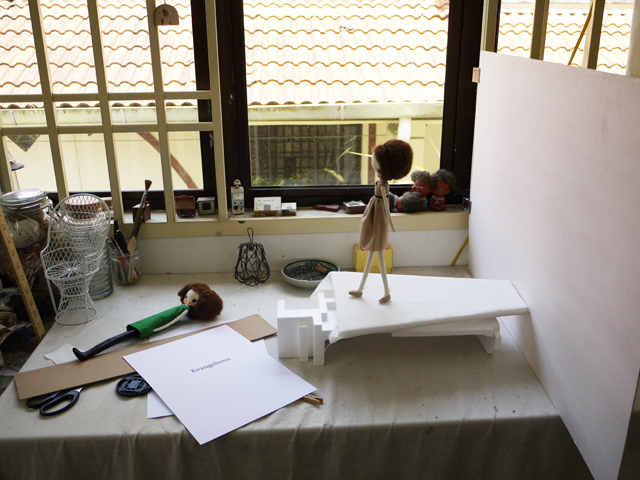 It´s always exciting to get a peek into other artists studios. Your style is so personal and so unique. Your girls really feel alive and full of emotion. Thanks for sharing! sooooooo cool !!! love it !!!! bravo !